Deco Aro in Khader Nawaz Khan Road has everything from scented candles and dry flower to floral lampshades and shell boxes. Walking into Deco Aro is a flowery treat (literally) to your senses. Gorgeous reds and blues and plump roses and lilies, there’s a lot of hidden gems behind these flowery trails. Ball lights and hanging lanterns are so overdone, we'll give you something different. This store has other items to tickle your fancy. We found scented candles in various flavours - but here’s the twist, these candles come in themed designs. Our fave is the ocean fragrance, which comes in a huge box of hand-painted shells and corals with a candle holder in the middle. These start from INR 300. You will find French lavender, lemongrass, and whitewater flavours, too. There are loads of cane dry flower lamp shades which will brighten up your home. Imagine coming home to a gorgeous bamboo lampshade finished with blue and white dry flower stems. Pretty picture, ain’t it? This store is a haven for potpourri with quirky materials like little globes, glitter, and pinecones. 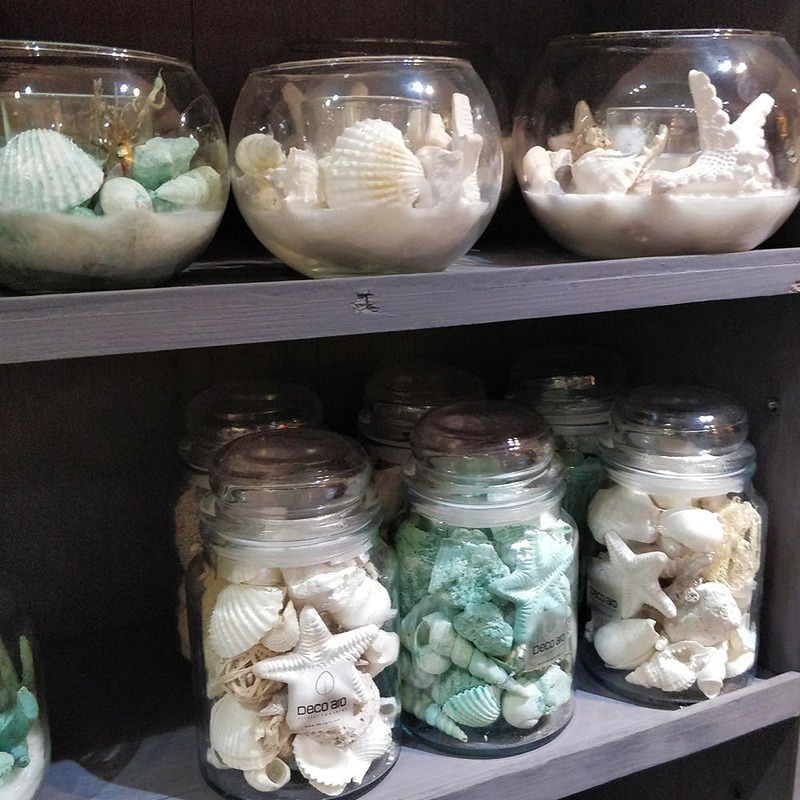 There are loads of shell jars to choose from too - they’re literally glass jars with a unique shell collection and some of them are hand painted. There are cutesy wine bottles (for lights and accessorising) and artsy foldable gift boxes complete with ribbons. It also comes with a special tag for personal notes. We loved the super cute cardboard giraffe and stars gift box. Other boxes (starting INR 300) had quirky stripes and heart-shaped ivy, which would be perfect for putting a small gift and a cute hand-written letter. Gosh, talking of all these gifts, where’s ours?